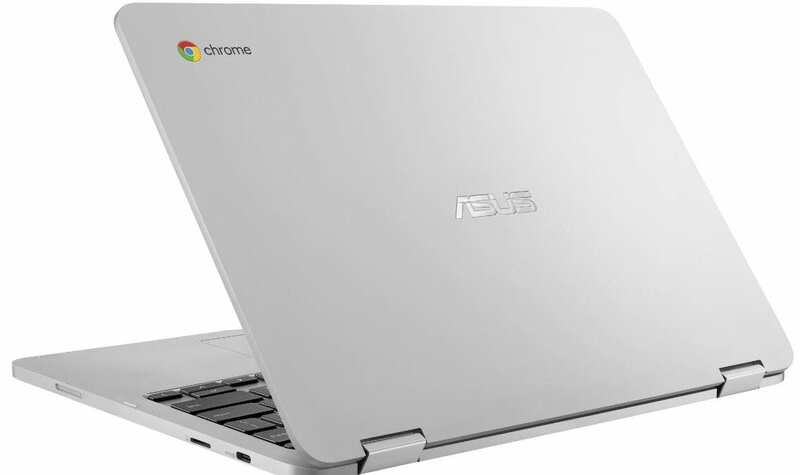 ASUS hasn’t been silent in the expanding Chrome OS market but their latest contributions are certainly not going to knock anyone’s socks off. The C423 and C523 are decent budget models that will likely appeal to the average consumer but lack the built-quality, power and features of the Kaby Lake flagships on offer from competitors such as Lenovo, Dell, Acer and HP. That doesn’t come as a huge surprise as ASUS generally reserves their bigger announcements for showcasing at the annual CES show in Las Vegas. With no flagship to speak of in 2018, ASUS’ 8th Gen Intel Chromebox was the big takeaway as far as Chrome OS is concerned but with the now 2-year old Chromebook C302 showing its age, the time is ripe for ASUS to drop some new machines on the market. According to Roland Quandt (@rquandt), we may get more than we could ever hope for from ASUS. Known for his reliable inside sources, Roland frequently takes to Twitter with leaks about upcoming devices and he has a proven track record for hitting the mark. This week, he brings news that ASUS will unveil their first Chrome OS tablet at CES 2019 and it will be a 10″ device that presumably will go head-to-head with Acer’s Chromebook Tab 10. While it will be nice to see another Chrome OS tablet on the market, I have to wonder if this device will be geared more towards consumers than Acer’s tablet that is squarely aimed at the education sector. That thought leads me to Qualcomm. For nearly a year we have tracked the development of a Snapdragon 845 Chromebook that was all-but-confirmed when Qualcomm announced their entrance into the Chrome OS market at MWC back in February. That’s all great news but a year later we’re left wondering who will make the first Chromebook powered by Qualcomm. For months, my gut has told me ASUS for no reason other than the fact that they produced one of the first Snapdragon “always connected” PCs running Windows and their presence at CES is massive. I’m still digging for details and I’m not saying this is a sure thing but I would not be surprised at all if Google, Qualcomm and ASUS take the stage corporately to announce the first Snapdragon Chromebook whether it be a tablet or detachable. Either way, we’ll know when we hit the ground in Las Vegas come January. No, I didn’t forget the rest of Roland’s tweet. Along with a possible Chrome OS tablet, he expects to see three Chromebook models. At this point, all we know are the rumored model numbers but based on ASUS’ past naming structure, we could be looking at a range of devices that runs the gambit. I have tried to make some sense of the numbers here in the hopes of connecting the dots between these and existing devices. I can’t. My only guess is that the C403 might be a successor to the C302 and if not, I really hope one of these is an 8th gen Kaby Lake with all the aesthetic appeal of the C302. It’s still one of my favorite machines in past years and I still think it looks better than any Chromebook other than the Pixelbook. That’s my two cents. I’d guess we will see a flagship, an EDU device and another budget model to replace the aging C200/300 models.